Last weekend a pagan friend who is a tree expert took me on a woodland walk to learn to recognise trees without their leaves on. He also told me a bit about their medicinal uses. 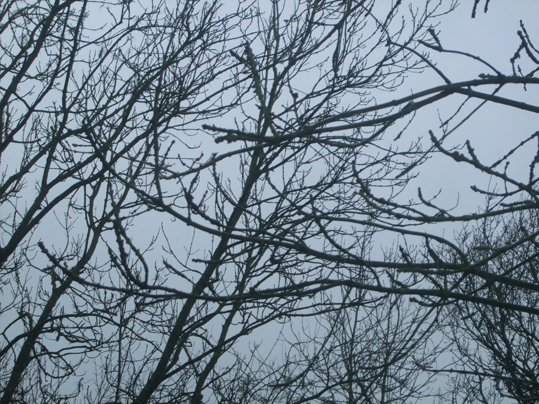 Here are some photos I took of bare ash trees. I must admit, just looking up into the stark canopy overhead I would not have been able to tell an ash from an oak without my friend's help. 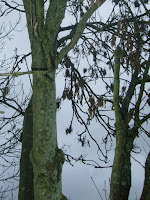 Apparently, ash tree shoots, or twigs, are always a bit upturned and that is one way of identifying them. Also, the buds at the end of the shoots are distinctively black. 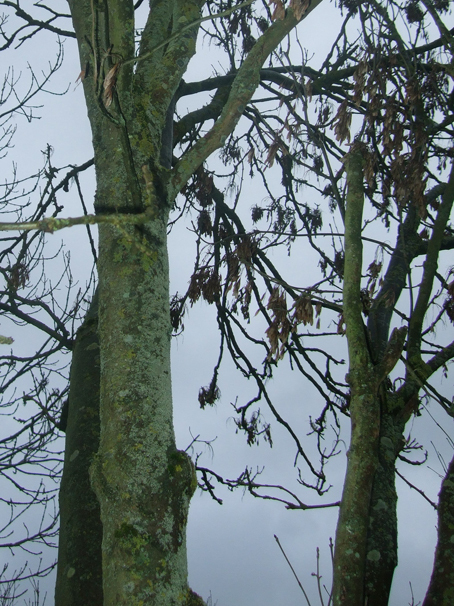 Ash trees are very tall when fully grown and have light grey bark. This is smooth in young trees but scaly in older ones. 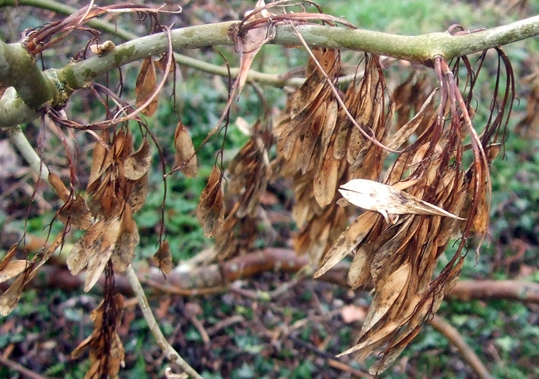 Ash tree seeds grow in bunches called keys. They hang from the twigs in clusters and go brown in the winter time. They only drop to the ground in spring. As most pagans know, in Norse mythology the world tree Yggdrasil was probably an ash. In Celtic mythology ash is also thought of as the tree of life, which touches the three worlds. Medicinally, the bark was used as a tonic and astringent. It was considered good for rheumatism.